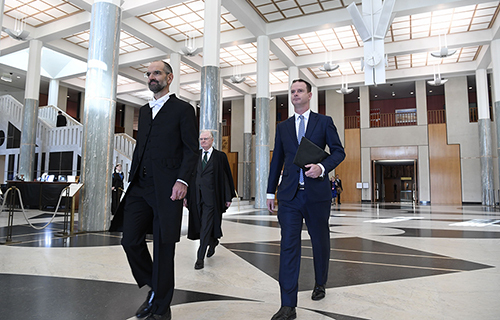 The 45th Parliament was prorogued at 8.29 am on Thursday, 11 April 2019 and the House of Representatives was dissolved at 8.30 am on the same day. Upon dissolution of the House, all business on the Notice Paper lapses but may be introduced in the next Parliament in the usual way. House committees and joint committees established by Act or resolution cease to exist but may be re-established in the next Parliament. Any inquiries that were not completed have lapsed and submissions cannot be received. Where can you learn more about the House? There are currently 150 members who have been chosen at a general election to represent the interests of the community. Every sitting day a number of documents are published to let people know what business will be dealt with, and what decisions have been made by the House. This document is available about an hour before the House sits and lists the expected business the House will deal with that day. A full list of all items before the House is available in the Notice Paper. 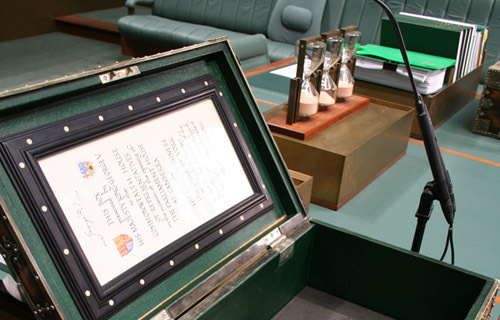 Most draft legislation (bills) are introduced into the House of Representatives. A bill must be agreed to in identical form by both the House and the Senate and assented to by the Governor-General before it becomes law. Each day the House sits there are set times for various events e.g. 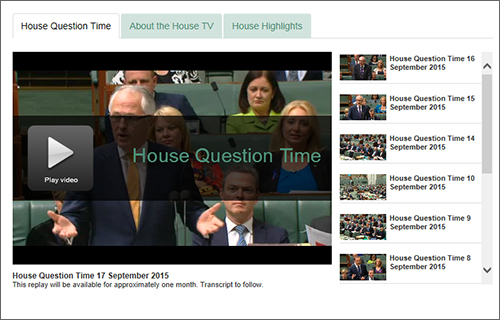 question time, government business, presentation of committee reports. The House has a number of parliamentary committees that examine issues on behalf of the House. Only members of Parliament can be members of these committees. Seating arrangements for the House of Representatives chamber. If you would like to learn more about how the House of Representatives operates, how bills are made, and what happens on a sitting day, there are a number of documents that will help you understand. In addition to guidance on House operations there are resources for more detailed research and education on the work of the House. 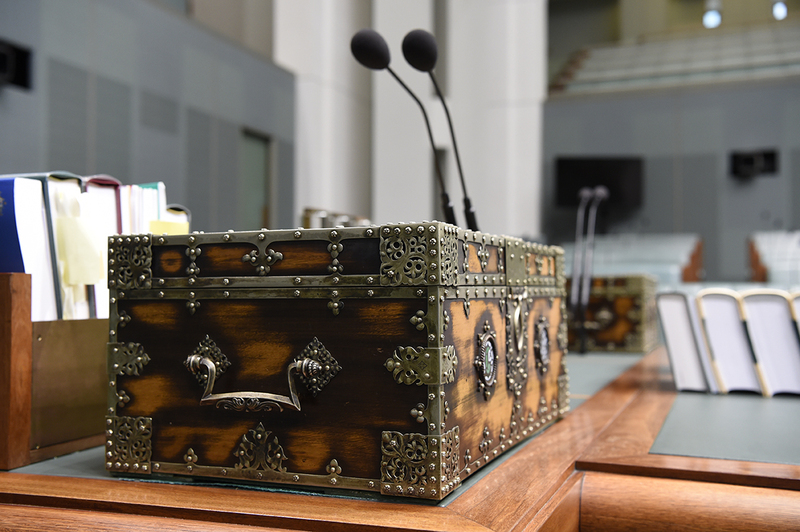 Hansard is the name given to the transcripts of what is said in each House of Parliament and at public hearings.